The immersive game craze hits York, Lancaster, Annville, Lemoyne, Harrisburg, Hershey and Mechanicsburg. Bring your smartest friends or family members to an escape room, where you’ll need the best brains to find clues, solve puzzles and get out in an hour. Leave your phones and electronics at home (or in the car) because there will be no outside help after you’re locked in. The games are meant to be fun and teamwork is needed. And don’t worry, if you’re totally stumped, employees will help you or let you out. 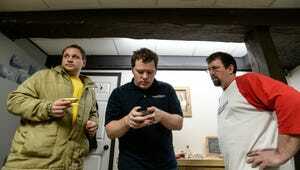 Lancaster's newest escape room offers two experiences: The Hideout and September 1777. In The Hideout, you'll race against the clock to recover stolen cash and return it to authorities before the thief catches you at their hideout. The September 1777 room, themed around the date Lancaster became the capital for a day, sends you on a quest into George Ross's home to save the nation's original flag before the British arrive. This escape room will become the newest attraction at Adventure Sports in Hershey when it opens Saturday, Oct. 8. In the Italian candy shop-themed room, participants will try to recover a secret candy recipe and escape before Caramella’s Candy is demolished. Be ready for lots of sweet riddles, puzzles and surprises. Other attractions at Adventure Sports include go-karts, mini-golf, bumper boats, batting cages, outdoor laser tag, a driving range, arcade, party room and ice cream parlor. Hershey Perplex offers two escape room experiences: Escape the Mummy or get lost with Alice in Puzzleland. In the mummy room, you’ll get locked in the study of a famous Egyptologist with just one hour to unlock the mystery and escape the mummy’s curse. In the Alice in Puzzleland room, which opened in September, you’ll feel curiouser and curiouser as you tackle befuddling riddles and zany, mad-hatted clues. Escape in 60 minutes or less, or it’s off with your head! Hershey Perplex also offers customizable difficulty levels, perfect for beginners and pros. Five puzzle rooms await at York’s Escape Games Live: Escape the Decade, an authentically-furnished 1970s living room; Escape the Precinct, based on a ’50s Los Angeles Police Department; Sherlock’s Office, the toughest mystery yet; Mojo's Museum, a new kids escape room designed for ages 8-13; and The Showdown, a new room that pits groups of friends against each other in a cops vs. robbers-style game. Where: 147 W. Philadelphia St., Second Floor, York. Cost: $125 for up to six adults, $15 each for up to two additional players. Escape Games Live's second location is now open with two escape experiences: The Jungle and Mad Doctor. Choose The Jungle, and you'll race to find your way out of the research station before a bad storm hits. Try the Mad Doctor room, and you'll have a much more "creepy" experience, perfect for Halloween. Your task is simple. Get out of the exam room before the mad doctor returns. Cost: $24 per player for groups of three to 10. Get swept away to another time at Escape Room Lancaster, beginning with 19th century London in the entryway. 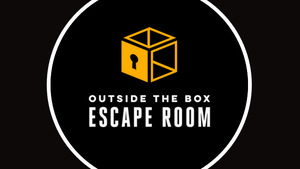 Room themes include 1920s Lancaster Train Station, Escape from Hades and Medieval Castle. The best escape times are posted outside each room. Where: In Station Square Center, 18 E. McGovern Ave., Lancaster. Cost: $24 per person for six to 10 players; room capacity varies. Put your sleuthing skills to the test as you try to escape from the Wacky Candy Factory at the recently opened Escape Room Hershey. 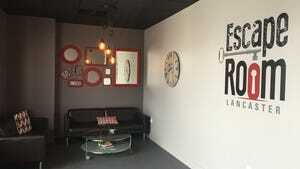 This escape room is Escape Room Lancaster’s second location. A “Mystery in the Theater” and “Wizard’s Laboratory” room are coming soon. 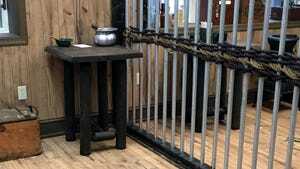 Escape Level 6 in Annville has two rooms: Murder for Hire and Nuclear Meltdown. Murder for Hire is a mystery based on the Blue Eyed Six, a group convicted of murder in Lebanon in 1879. Nuclear Meltdown has a Three Mile Island theme. Where: 1236 E. Main St., Annville. Cost: $25 per person for six to 10 players. Harrisburg’s escape room venue opened in April with three themes: contain the virus in Outbreak; become a bounty hunter in Wanted; and infiltrate the enemy in Special Ops. The facility will also offer a race room experience, where teams can compete against each other in separate but identical rooms. Where: 717 N. 2nd St., Harrisburg. Cost: $25 per player for groups of 4 to 10. Newly opened outside Mechanicsburg, the facility offers one theme room for up to eight players, Covert Operations, where a rogue software engineer has designed a malicious code to compromise the U.S. economy. A second room, Kidnapped, is planned. Where: 5006 Lenker St., Hampden Township. Abbey Zelko contributed to this story.